North Carolina-based biometrics technology firm Valencell yesterday filed a patent infringement lawsuit against Apple in a federal court, alleging that the maker of the Apple Watch resorted to skullduggery to pry information from it about heart-rate sensors. "This practice is consistent with the statement by [former] Apple CEO Steve Jobs that Apple has 'always been shameless about stealing great ideas,'" Valencell's complaint of Monday read. Valencell filed a similar lawsuit against Fitbit on the same day. According to Valencell, in March 2013 Apple employees downloaded several technical white papers from Valencell's website, but used fictitious names, email addresses and company affiliations when asked to register before being allowed to retrieve the papers. Several months later, Valencell demoed a prototype watchband to a group of Apple employees, showing off a heart-rate sensor embedded on the back face of the device. The North Carolina company also provided additional prototypes to Apple for the latter's internal testing -- which included analysis of the products' circuitry, said Valencell -- all with the expectation that Apple, like 25 other consumer wearable manufacturers, would license the technology. In its complaint, Valencell charged that Apple never meant to license its technology, but was simply digging for information so it could make its own heart-rate sensor and skip the licensing fees. "Apple solicited technical information and know-how from Valencell on the false premise that it wished to license Valencell's PerformTek Technology," the company's complaint stated. "Apple did not have an intention of licensing Valencell's PerformTek Technology. Instead, Apple's interaction with Valencell was fueled by a business decision that the benefits of infringing upon Valencell's patented technology outweigh the risk of being caught and ultimately forced to pay damages." 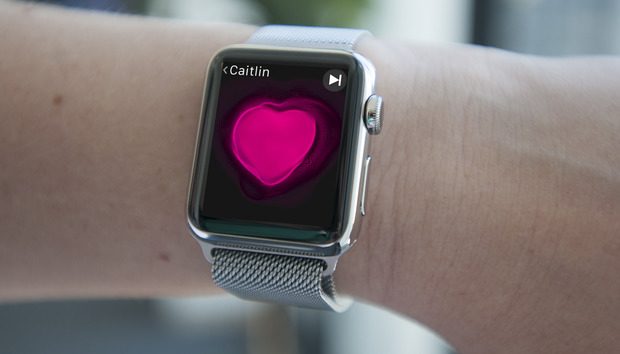 Valencell cited four patents that it alleged Apple infringed in creating the heart-rate monitoring sensor for the Watch. Apple launched its wearable in April 2015. Valencell asked that Apple be blocked from further patent infringement, or if that was not granted, that Apple pay a "compulsory ongoing licensing fee." The company also demanded that Apple pay treble damages because said infringement was "willful." 'Doctor Who' is departing Netflix, at least in the U.S.